The Coral Reefer Band has been traveling as long as Jimmy has. The legendary group started out in clubs as a fake band consisting of Kay Pasa, Ms. Kitty Litter, and the legendary Marvin Gardens. In 1975, Jimmy began touring with a real band and the rest is history. Members have come and gone, but the Coral Reefer Band will be around as long as Jimmy is. “Mr. 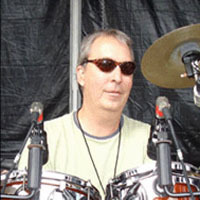 Utley”, as Jimmy often refers to him at shows, is the longest tenured member of the Coral Reefer Band. He first met Buffett in Miami in 1973 and Jimmy asked him to appear on his second album – A White Sport Coat And A Pink Crustacean. He has appeared on every album since then, producing many of them. When Buffett officially formed the Coral Reefer Band in 1975, Utley joined and has never left. 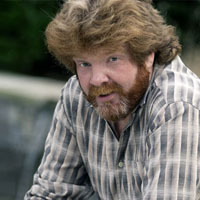 Mac McAnally is the two-time reigning CMA Musician of the Year and has been a full-time Coral Reefer since 1998. 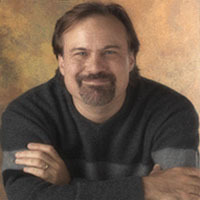 He has written many hit country songs, including “Down The Road” (recently covered by Kenny Chesney), Sawyer Brown’s “All These Years” and “Cafe On The Corner”, as well as a few songs that Buffett has covered – “It’s My Job” and “When The Coast Is Clear” to name a couple. Mac has also recorded several of his own albums over the years. His latest, Down By The River, was released on August 4th, 2009. Today, Ralph splits his time between writing and recording for his company, Antisia Publishing, and touring with Jimmy. 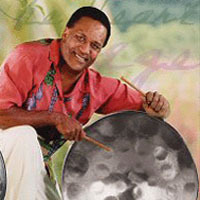 A native of Trinidad, Robert Greenidge first began playing the steel drums at age 8 and is now one of the most renowned players in the world. 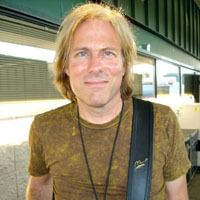 Robert first appeared with Buffett on the 1983 album One Particular Harbour, where he beat his drum for the title track and “Brown Eyed Girl”. Greenidge has been touring and recording with Buffett ever since. 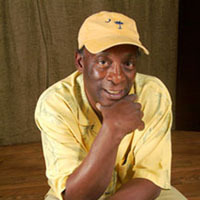 He’s also recorded albums with Michael Utley under the moniker Club Trini. Peter Mayer grew up in Tamilnadu, India, where his parents were missionaries for 17 years before returning to their Missouri Roots. In 1989, Elliot Scheiner was hired to produce Jimmy’s Off To See The Lizard. Having just worked with Peter’s group, PM, Scheiner suggested Buffett use the band for his album and the rest is history. His brother Jim plays is also a Coral Reefer, playing bass. 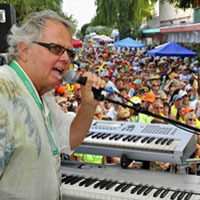 When not on the road with Buffett and the Coral Reefers, Peter tours the country with his own band The Peter Mayer Group. As with his brother Peter, “Uncle” Jim Mayer grew up in India, where his parents were missionaries. In 1989, Elliot Scheiner was hired to produce Jimmy’s Off To See The Lizard. Having just worked with Peter Mayer’s group, PM, Scheiner suggested Buffett use the band for his album and the rest is history. Jim speaks of meeting Jimmy for the first time, “We didn’t know who the heck this guy was. We knew Margaritaville and that’s it! We figured it would be a single project and maybe a gig or two. Ten years later, here we are, full-fledged Coralator Reefermegators.” It’s now been over 20 years for Jim and his brother. 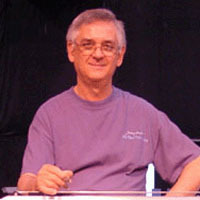 Roger Guth was born in St. Louis, MO. He came to the Coral Reefer Band in the late 80’s at the same time as Peter and Jim Mayer. Aside from Buffett’s tours, Roger also hits the road with Peter and Jim as part of the Peter Mayer Group. John Lovell has been playing the Trumpet since age five. He first joined his High School Band and later got his first musician job with the Tommy Dorsey Orchestra. In 1992, John was selling stereos at a Circuit City Store when he got a call from a friend who was in the studio with Jimmy. Jimmy was looking for a Trumpet player and John sent a tape, resume, and picture. Two weeks later he was a Coral Reefer. 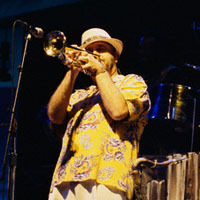 When he’s not touring with Jimmy and The Reefers, he plays with a local swing band in the Palm Beach area. Doyle Grisham was born and raised in Temple, TX. At age 21 he began playing the steel guitar and has since played with such greats as George Jones, Reba McEntire, and Kenny Rogers. The steel guitar of Doyle Grisham can be heard on such Buffett classics as “Come Monday”, “The Great Filling Station Holdup” and many more. In 1999, Jimmy talked Doyle into going on the road and Doyle’s been touring with the band since then. In 2008 she released Nod To The Storyteller, an album covering many of Jimmy’s hits over the years. Tina Gullickson is a Native Californian who’s first taste of singing and dancing was with The Doodletown. In 1995, she joined the Coral Reefer Band which she now refers to as “the best job in the world.” When Tina’s not on tour with Jimmy and the Reefers, she spends her time caring for her four bunnies.